Swarovski is an Austrian company and producer of luxury cut glass. The wide array of products include watches, jewelry, and other accessories. The fine glass has become a trademark product worldwide and an art collection to those who treasure these crystals. With Big Apple Buddy’s personal shopping service, you can now buy direct from the Swarovski online store anytime, anywhere. 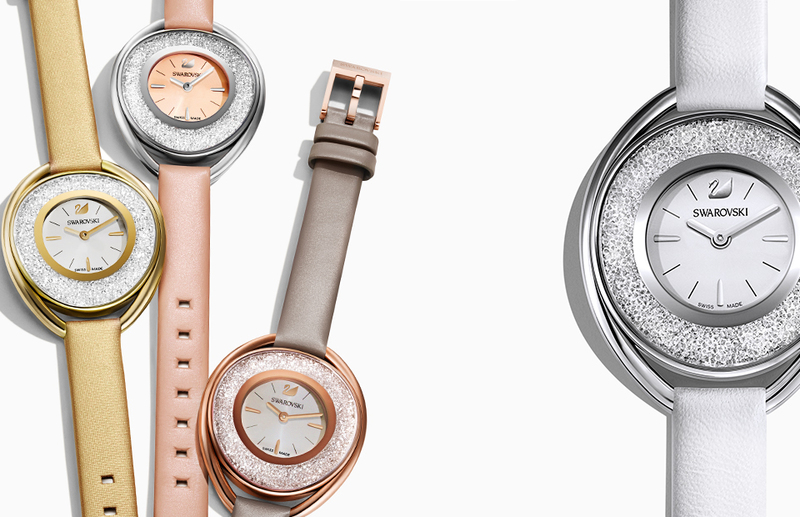 Glam up with Swarovski's Crystalline Oval White Tone Watch! This glamorous watch with a leather strap guarantees comfort and fashion all in one. The rose-gold metal creates the perfect color combination that will also match with any of your outfit. There is an option for every taste as you pick from any of the seven colors. It's a watch to last you a lifetime and spruce up any attire for those special occasions. For a fun accessory, the Crystaldust Bangle Double is one of Swarovski's most popular bracelets. The intricate design is unique and made up completely of blue crystals that will bring a spark to your outfit. It's easy to slip unto your arm so you don't have to worry about obtrusive clips. Combine with any of the six colors that the bracelet comes in and get the newest signature design for arm accessories! Don't miss out on the Moselle Neck Piece, part of the Atelier Swarovski Core Collection, and one of the most popular necklace designs of the store! 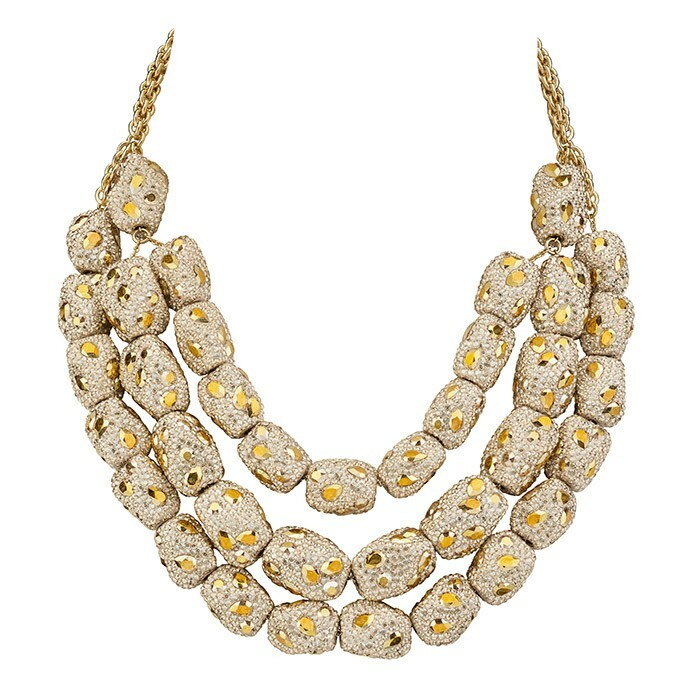 This glittering necklace offers a contrast of smooth and curvy with the gold crystals it is made up of. It is an elegant choice for a nice night out that will make you stand out wherever you go. Best of all, the gold shine will never tarnish! Unfortunately, the USA Swarovski online store does not currently offer international shipping. However, Big Apple Buddy, your personal shopper, can help you buy products direct from the official USA Swarovski online store and ship them to your doorstep, no matter where you are in the world. If you would like to buy from the USA Swarovski online store, simply let us know which items you would like to order (by filling out the form below) and we’ll get back to you with a free international shipping quote within 24 hours!